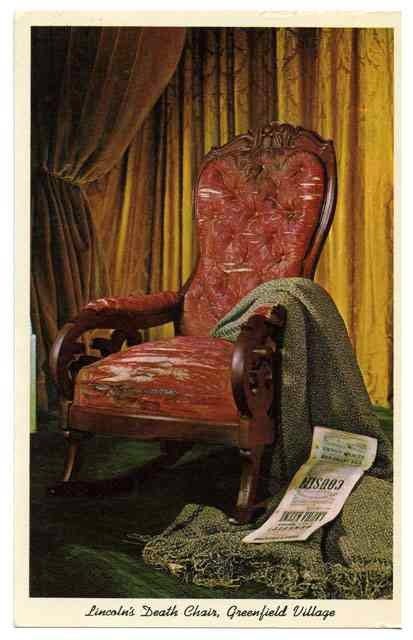 Inside the Apple: Postcard Thursday: "Lincoln's Death Chair"
In keeping with the theme of the week, we present the slightly macabre postcard (above) of the chair Lincoln was sitting in at Ford's Theater when he was shot. 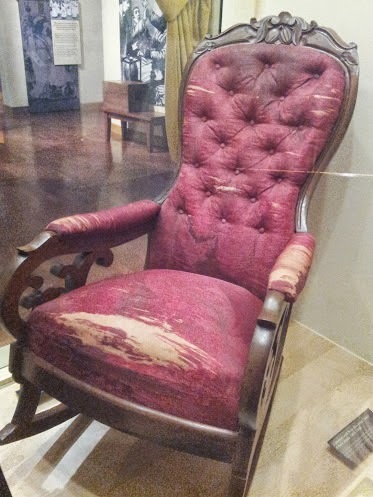 The chair now resides at the Henry Ford Museum in Dearborn, Michigan (see our own photo of it, below), safely ensconced inside. But that wasn't always the case. When Henry Ford started his museum (then called the Edison Institute), there were two components: an indoor space dedicated to science and progress, and an outdoor collection of historic buildings creating an idyllic, small town landscape. At the center of what Ford dubbed "Greenfield Village" was a town square, complete with a courthouse....but not just any courthouse. This was the place that Abraham Lincoln had argued cases when he rode the circuit as a young lawyer. Ford had sent his agents to Potsville, Illinois, to convince the owners of the building to sell it to him. Evidently, it was a tough negotiation, but eventually Ford's money prevailed; the courthouse was dismantled, shipped to Michigan, and reassembled in Greenfield Village. Later, a corner cabinet that Lincoln had helped build when he was a boy was added to the building. But what really drew people was the ability to sit in the chair the president had been using at the time of his murder. According to a docent at the museum, Ford accidentally bypassed the opportunity to acquire the chair for free, and later had to pay a princely sum at auction. He had it installed in the courthouse until the curators finally insisted that it be moved to a climate-controlled, indoor space. 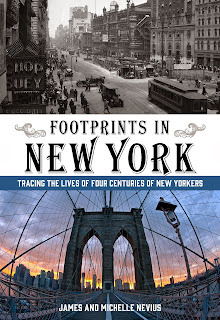 There's still time to sign up for James's walking tour of Abraham Lincoln's New York on Saturday, April 25. 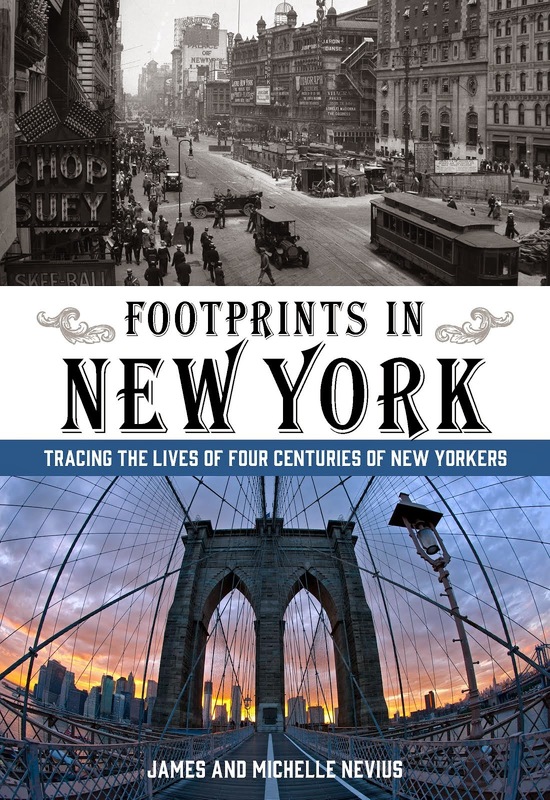 $20 per person or $30 if you'd like a signed copy of Footprints in New York. Follow the link for all the details.